The Anglo-Irish Agreement - 30 Years On. It was 30 years ago today (15th November 1985), the Anglo-Irish agreement was signed which gave Dublin a consultative role in the affairs of Northern Ireland for the first time in over 60 years. 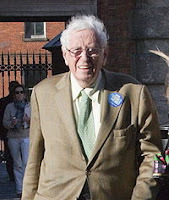 The British Prime Minister at the time Margaret Thatcher considered it a pathway to bringing an end to violence in the province. Signed by Thatcher and Irish Taoiseach Garrett FitzGerald at Hillsborough Castle, Co Down, it set up a framework for consultation between both governments to discuss matters pertaining to and within Northern Ireland. The agreement was bitterly opposed by the Unionists, whose MPs all resigned their seats at Westminster as a protest. It was also rejected by the Republican faction because of its confirmation of Northern Ireland’s continuing status as part of the UK. In the short-term it failed to bring about a relief to the political violence in the province. However over a period of time it did bring about improvements in relations between the British and Irish governments, becoming a stepping-stone to the Good Friday Agreement 13 years later. 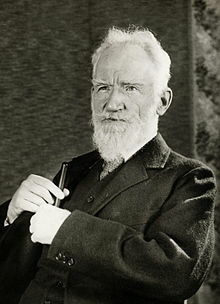 Monday 2nd November 2015 sees the 65th anniversary of the death of Irish playwright and literary critic, George Bernard Shaw. Best remembered for Pygmalion (the story of which became the musical My Fair Lady) and Major Barbara, he penned in excess of 60 plays, ranging from purely satirical works to historical allegory pieces. He became arguably, the most important English language playwright since the 17th Century. Born in Dublin in 1856, he won the 1925 Nobel Prize for Literature along with an Academy Award for Best Adapted Screenplay (Pygmalion) 13 years later. He refused all other offers of awards including that of a Knighthood. He was also one of the founders of the London School of Economics in 1895 when he and fellow Fabian Society members Sidney Webb, Beatrice Webb and Graham Wallas set up the institution for what they considered to be the “betterment of society” (the Fabian Society itself was set up by the Webbs, HG Wells and GBS, being a group promoting non-Marxist evolutionary socialism). He died at the grand age of 94 of renal failure, brought about from injuries received after falling when attempting to prune a tree. 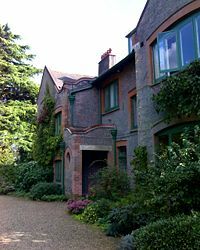 His home, now called Shaw's Corner in the small village of Ayot St Lawrence, Hertfordshire, close to Harpenden and Welwyn Garden City, is now a National Trust property and well worth a visit. I was sad to read in today’s paper of the death of actor Richard Davies (pictured right, with co-star John Alderton). For anyone like me who is something of a connoisseur (or should that be an anorak) of 60s, 70s and 80s TV shows and sitcoms, Davies is best remembered as Mr Price, the Welsh Science teacher in London Weekend TV’s Please Sir, which initially aired in the late 60s to early 70s. Starring such infamous sitcom actors as John Alderton, Deryck Guyler and Joan Sanderson, Please Sir was based at a fictional school in London’s Fenn Street and it took in the antics of both teachers and pupils in the school. It ran on TV for 55 episodes, spinning off into a separate sitcom called the Fenn Street Gang. 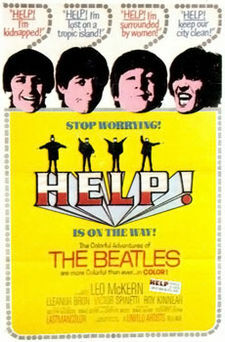 The original show also found its way on to the big screen in 1971. 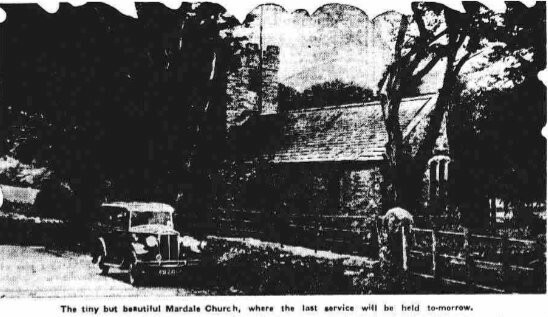 Initially from Merthyr Tydfill, Richard Davies went down the pit at the age of 14 and when training to join the military police in the 2nd World War, was moved into an entertainment unit. He was a regular visitor to our TV screens over the years appearing in favourite shows such as Coronation Street, Fawlty Towers, 2 Point 4 Children and Oh No, it’s Selwyn Froggitt. He is also fondly remembered for his role of Private Jones in the silver screen blockbuster Zulu. In recent years he had been suffering from Alzheimer’s Disease and passed away aged 89, survived by his wife and 3 children. Peter Cleall, who played student Eric Duffy in the original Please Sir sitcom is now 71 years old. That is just 3 years younger than John Alderton, who played Bernard Hedges, the teacher of class 5C, who is now 74. David Barry, who played the self styled gum chewing tough guy Frankie Abbott, who was really something of a “mummy’s boy”, is now a successful author of numerous novels such as Each Man Kills, Flashback and Willie The Actor (click here for link to David's Amazon page). When you think of British female newsreaders on TV, you immediately remember Angela Rippon, Anna Ford and Jan Leeming. 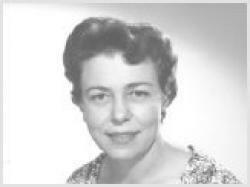 But the first ever lady newsreader on British screens was Barbara Mandell, who presented the midday news on the newly launched Independent Television back in 1955. Along with Barbara Mandell, who presented the lunchtime bulletin, former Olympic runner Christopher Chataway and news legend Robin Day were selected by ITN Editor Aidan Crawley from over 150 candidates, to front the news coverage for the newly licensed station. It was 60 years ago, on 23rd September 1955, the day after the launch of independent, commercial television, that she made her first broadcast. ITV had decided upon a different form of news coverage to the established BBC output, fronting the bulletin with an actual newscaster as opposed to the Corporation’s continued use of newsreel with a voiceover. Barbara Mandell was born in London in July 1920, but relocated, as a 4 year old, to South Africa, where her father was deputy editor for the anti-apartheid Rand Daily Mail. She followed her father into journalism, initially working for the same newspaper, moving on to work for the South African Broadcasting Company. After a short period in the US, she returned to her native UK where she was employed as a news editor by the BBC. In 1955 she switched over to independent, commercial TV. Her tenure on the lunchtime news only lasted a few months however as ITV was initially beset with financial problem and it wasn’t long before the mid-day news bulletin was dropped. She stayed there throughout the 1950s working as a reporter and occasionally fronting weekend news bulletins. Later she moved to working behind the scenes and retired from ITN in 1980. After moving to Luxembourg and writing travel books, she later returned to the UK and passed away in 1998. The first female BBC newsreader was Nan Winton who started reading the news in 1960, while in Ireland, the first RTE newsreader was Geraldine McInerney, who was not seen on screen until as late as 1975. Due to pressure of other work, the Today's the Day posts are taking a rest for the time being. Many thanks for reading. Uncle Tatty will return with other articles soon - watch this space. 250 years ago: King William IV was born on this day in 1765. 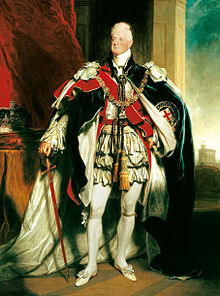 Born at Buckingham Palace, he ascended the throne in 1830 at the age of 64 – the oldest person ever to assume the throne. He was unassuming, disliking pomp and ceremony and was known throughout his early reign to walk unaccompanied through London and Brighton, making him very popular with his subjects. 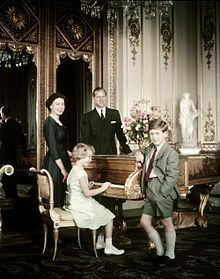 His reign lasted 6 days short of 7 years when he passed away from heart failure at Windsor Castle. 80 years ago: John Hartley, the no.1 tennis player in the world during 1879-1880, died on this day in 1935. 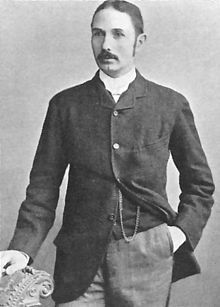 Winning Wimbledon in both those years and runner-up in 1881, he has the distinction of being the only clergyman to ever be successful at the tournament. He passed away in Knaresborough, Yorkshire at the age of 86. 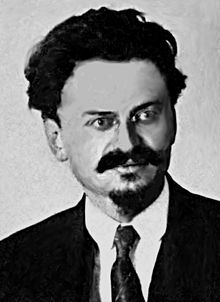 75 years ago: Marxist revolutionary and Soviet politician Leon Trotsky was assassinated on this day in 1940. Killed in Mexico City, where he had been living for 4 years, he was attacked by Ramón Mercader who used a mountaineer’s ice axe as a weapon. It didn’t kill him instantly, he was taken to hospital where they operated, but he passed away from excessive blood loss and shock. He was 60. 125 years ago: On this day in 1890, HP Lovecraft was born. 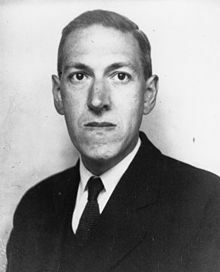 Howard Phillips Lovecraft achieved fame posthumously through his influential horror writing and is now regarded as one of the most influential 20th century writers in this genre. Gaunt with dark eyes and a very pale face, he was very reclusive and lived very frugally. He died, aged 46 in 1937 from cancer. 45 years ago: On this day in 1970, England football captain Bobby Moore was finally cleared of stealing an emerald bracelet in Columbia after being set-up. On 18th May, Moore and fellow England player Bobby Charlton went into a store in Bogota, looking for a present for Charlton’s wife. Upon leaving the store, the owner called the Police, accusing the star of stealing the bracelet, worth £600. A week later Moore was charged and after initially being placed under house arrest, he was freed 3 days later so that he could play in the World Cup tournament in Mexico. 700 years ago: On this day in 1315, Louis X of France married Clementia of Hungary. Louis X, often known by the names of the Quarreller, the Headstrong and the Stubborn, took Clementia as his second wife, after his first marriage ended when his spouse, Margaret of Burgundy was convicted of adultery and conveniently strangled in prison. Louis died in June 1316, leaving Clementia 7 months pregnant. 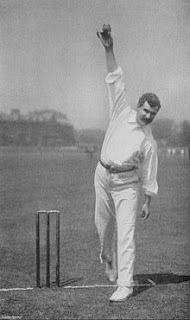 115 years ago: The only ever cricket match at an Olympic Games started on this day in 1900 at the Paris games, when France took on Great Britain. The match, at the Vélodrome de Vincennes was contested by the Devon and Somerset Wanderers representing GB (they were touring France at the time) and a French team comprised mainly from British expatriates living in Paris. At the end of the 2-day match, GB were the victors by 158 runs, but they managed to cut it fine as there was only 5 minutes of allotted time remaining. 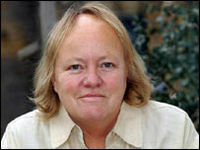 10 years ago: Mo Mowlam, British Labour Party politician, MP for Redcar and Secretary of State for Northern Ireland (between 1997-1999), died on this day. She played a key part in the successful peace negotiations which concluded in the Good Friday Agreement. 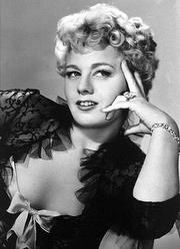 95 years ago: American actress Shelley Winters was born on this day in 1920. Born Shirley Schrift in St Louis, Missouri, she was a widely respected actress who won 2 Oscars for The Diary of Anne Frank and A Patch of Blue. Married 4 times, she died aged 85, of heart failure in early 2006, after suffering a heart attack 3 months previously. 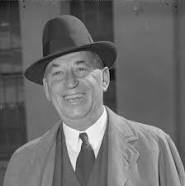 75 years ago: Walter P Chrysler, the founder of the Chrysler Motor Corporation died on this day in 1940 of a cerebral hemmorage. 75 years ago: On 17th August 1940, American RAF pilot and 1928 (5 man) & 1932 (4 man) Olympic champion bobsleigh pilot Billy Fiske, was killed in action in WW2. He was one of 11 American pilots who flew with RAF Fighter Command between 10 July and 31 October 1940 and was one of the first US servicemen to lose his life in the war. Flying a Hawker Hurricane and only 15 minutes into his mission, a German gunner put a bullet through his fuel tank. Rather than baling out, Fiske successfully managed to nurse his aircraft back, but shortly after landing it exploded. He was taken to the Royal West Sussex Hospital in Chichester, but died 48 hours later from surgical shock. He was just 29 years old. 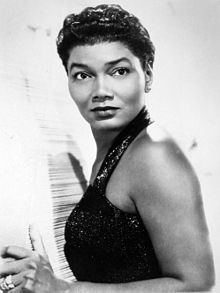 25 years ago: Pearl Bailey, award winning American stage, film and TV actress, singer, entertainer and writer died on this day in 1990. The winner of a Tony Award for playing the title role in an all-black version of Hello Dolly, she died of heart disease in Philadelphia at the age of 72. 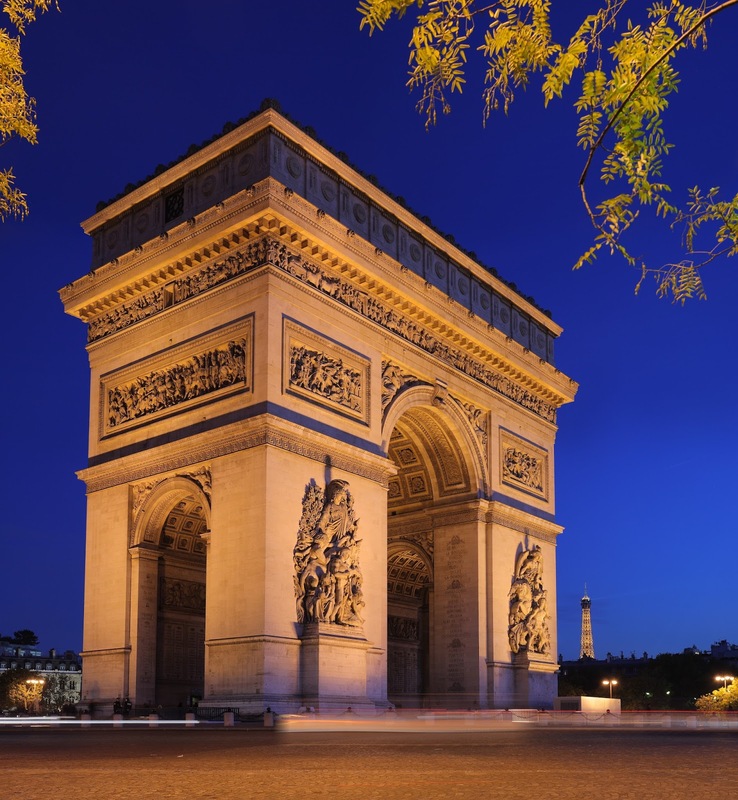 20 years ago: A bomb exploded at the Arc de Triomphe in Paris, injuring 17 people. The Algerian Armed Islamic Group (GIA) claimed responsibility for the attack and followed it up with 3 further bombs in the next 3 weeks. Only one of which actually exploded, causing 14 further casualties at a Jewish school in Lyon. 100 years ago: American blind R&B singer Al Hibbler was born. Remembered for his work with the Duke Ellington Band, he also had many solo hits. Known as “Hib” and famous for his version of Unchained Melody, believed by many to be the best version of the song ever recorded (you decide by clicking on the video above). He died in 2001 at the grand age of 85. 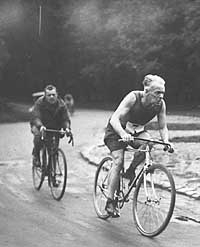 75 years ago: This day saw the death of Henri Desgrange, the man who is credited with founding the Tour de France. He was a French bicycle racer and journalist who set 12 world track cycling records during a distinguished career. Desgrange died aged 75, at his home on the Mediterranean coast, on 16 August 1940. 30 years ago: On this day, US singing star Madonna married pugnacious movie star Sean Penn. The groom wanted an open air wedding and chose the Malibu home of friend Kurt Unger as the venue. Penn was insistent on privacy and became enraged at the media helicopters circling above during the short service. So much so, that after the vows had been taken, he went back inside to get a gun and started firing at the overhead paparazzi contingent. Meanwhile, during Penn’s moments of madness, Madonna was screaming at him to stop, insisting he left them alone. The marriage ended in divorce after 4 years. 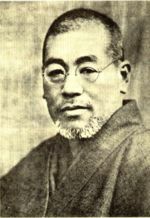 150 years ago: Mikao Usui, the founder of Reiki was born. Used as a complementary therapy for the treatment of physical, emotional, and mental diseases, he taught over 2000 people during his lifetime. 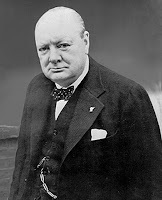 He died in 1926 at the age of 60, after suffering a stroke. 75 years ago: The first issue of Jewish Weekly was published in the Netherlands, on this day in 1940. Being the only journal that Dutch Jews were allowed to read, its contents were censored and strictly controlled by the occupying Nazis, preventing them from gaining information about their possible fete. 65 years ago: Princess Anne, the Princess Royal was born on this day in 1950. Born at Clarence House at 11.50am, she was 3rd in line to the throne – after her mother Queen Elizabeth II and Prince Charles. Now, after numerous births etc, she has slipped down the list into 12th place! 250 years ago: Colonists in Boston, Massachusetts, on this day made their first challenge to the Stamp Act which had been imposed on the American colonies. All legal documents, permits, commercial contracts, newspapers, pamphlets, and playing cards in the colonies had to carry a tax stamp, viewed by the masses as a censorship to free speech. 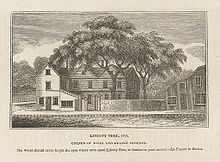 They met under a large elm tree close to Boston common and hung an effigy of Andrew Oliver, the man chosen by King George III to impose the despised act. The tree became known as the Liberty Tree. 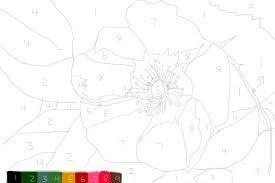 100 years ago: On this day, Max S Klein, the co-inventor and developer of “Painting by Numbers” was born. Owner of the Palmer Paint Company of Detroit, Michigan, in 1951 he introduced the Craft Master brand which sold over 12 million kits. On the box was the proclamation “a beautiful oil painting the first time you try” Klien died in 1993. 20 years ago: The Britpop battle was at its height. On this day, British bands Blur and Oasis released singles on the same day, launching a media backed chart battle. 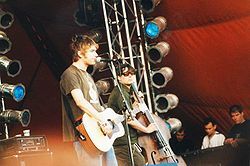 Blur were successful, with their single Country House reaching #1 while Oasis had to make do with the #2 slot, with their release Roll with It. 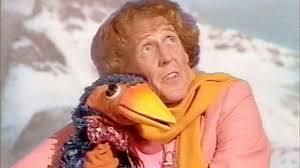 80 years ago: On this day, Rod Hull, famous for his antics with Emu, a somewhat aggressive arm-length glove puppet, was born. Initially famous for Children’s TV in Australia where he moved to in 1961, he returned to the UK in 1971 after supposedly finding Emu in a cupboard. He died aged 63 in 1999 after accidentally falling from the roof of his house after climbing up to adjust a TV aerial. 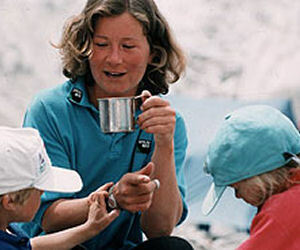 20 years ago: British mountaineer, Alison Hargreaves died on this day, aged 33 in 1995. The first woman to climb Mount Everest solo without the aid of supplementary oxygen, she was killed in a storm while descending K2, losing her life along with American, Spanish and New Zealand colleagues. 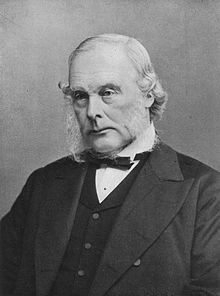 150 years ago: On this day in 1865 British surgeon Joseph Lister, became the first person in the world to use an antiseptic dressing to treat a wound (lint dipped in carbolic acid – now known as phenol). The wound healed successfully and the results were published in the medical journal The Lancet 2 years later. 90 years ago: Today was the birthday of twins Ross and Norris McWhirter, co-founders of the Guinness Book of Records. At the age of 50 Ross was murdered when 2 IRA gunmen shot him outside his home in Enfield, Middlesex. Brother Norris died of heart failure, aged 78 in 2004. 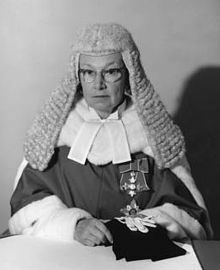 50 years ago: Today in 1965, Elizabeth Lane was appointed as Britain’s first High Court judge. After her husband decided to become a barrister, she decided to study law at the same time. She was appointed as the first female judge in the County Court in 1962, followed by the High Court 3 years later. 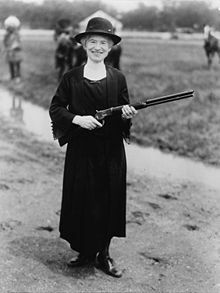 She retired in 1979 and moved to Winchester, where she died 9 years later aged 82. 145 years ago: Legendary English cricketer Tom Richardson was born in Byfleet, Surrey on this day. He was a fast bowler with a long run up and a high arm allowing him to gain excessive lift from the pitch. In the 1963 edition of the Wisden Cricketers Almanack (the cricket bible), he was selected as “One of the Six Giants of the Wisden Century” along with the likes of Sir Donald Bradman, WG Grace and Jack Hobbs – very good company indeed! 65 years ago: On this day, Steve Wozniak, the co-founder of Apple computers, along with Steve Jobs was born. 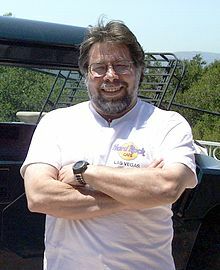 Wozniak currently lives in California although he has recently applied for Australian citizenship, saying he would very much like to live in Melbourne.